My daughter and I love to go through our YouTube subscriptions when she gets home from school. One of her absolute favorites is Max Glick / Mr. Cheezy Pop. He has a great Disney themed channel you can check it out HERE. I recently worked out an exchange with him as a surprise for her birthday. For my end I made him a custom Funko Pop style figure of himself. Here is the figure. Here is a video where he talks about the figure. 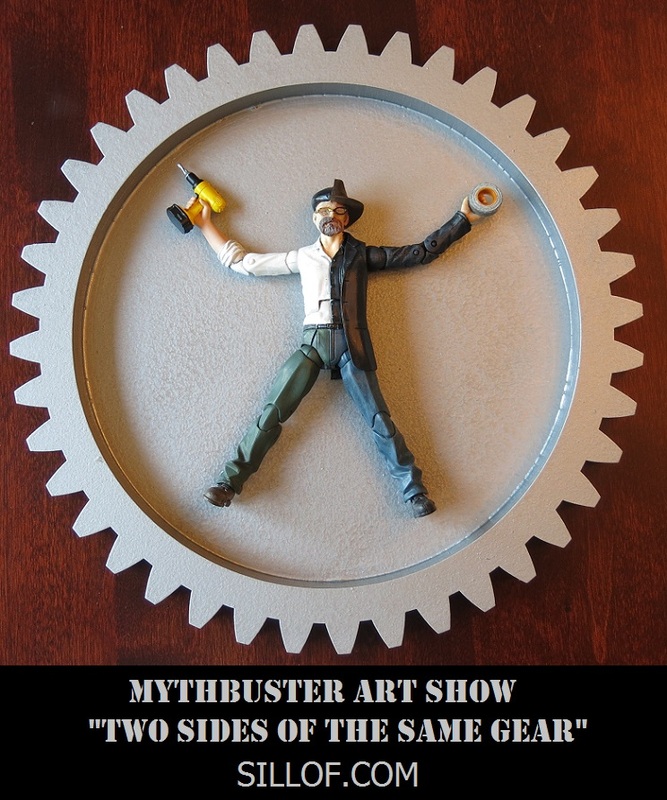 I was asked to create a piece for the Mythbusters Art Show by the great artist Chogrin to be displayed Creature Features in Burbank. I was a huge fan of the show. Here is the piece I created.